What happens when you put one of the world’s top personal growth experts into the toughest prison in the UK? In 2017, during a civil matter, Peter Sage was found in contempt of court. What unfolded next has become a masterclass in how to put adversity to your advantage. With the proper tools, techniques and insights, we can face any problem from a place of power, not force. Staying calm and positive when life hits you with a bat is not easy, but turning our biggest challenges into our greatest achievements is the stuff humans are born for. I recently had the opportunity to speak with Peter Sage for episode 447 of Anarchast. We discussed everything from starting in business and good vs. bad ideas, to adding value and dealing with uncertainty. We also talked about fear and the unknown, happiness and acceptance, and being okay with having haters. Other people’s opinion of us is really none of our business. Discover all this, plus hear about how Peter was caged in London for a year as a civil prisoner without any criminal conviction or trial. As a well-known serial entrepreneur, author and teacher, Sage has a unique way of looking at and relating to life, which has inspired tens of thousands of people worldwide to reinvent themselves. 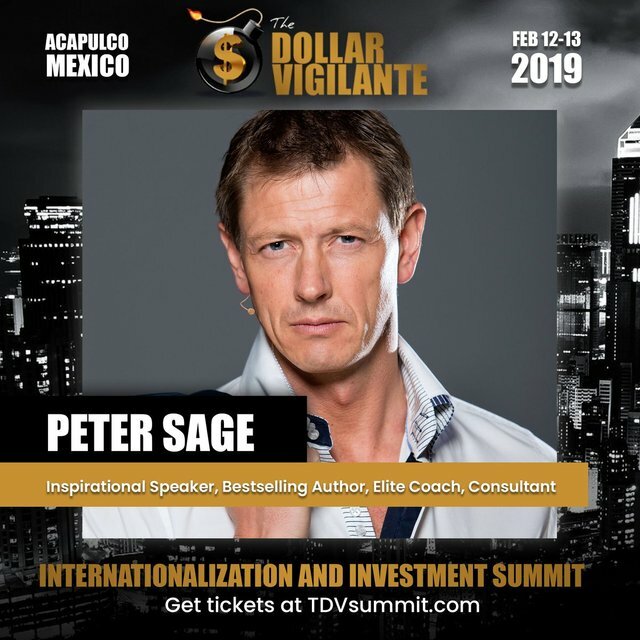 He will be presenting this February at the TDV Summit, Anarchapulco, and the Infinite Man Summit, all taking place in Acapulco, Mexico as part of ‘The World’s Premier Liberty Event’. These gatherings give anyone the opportunity to meet and network with some of the most inspirational movers and shakers, as well as countless like-minded freethinkers from across the world. If you want to be the star in the movie of your own life, join us next month and learn how to break the chains that are holding you back.